I don’t care what anyone says, Cadbury Creme Eggs are the best Easter candy. Peeps, schmeeps. I’m all about that delicious chocolate egg filled with cream fondant. Yum! I wanted to make a delicious dessert celebrating Cadbury Creme Eggs. I love holiday desserts that are no-bake and travel easy, so I landed on the idea of a Cadbury Creme Parfait. The bottom layer is chocolate cake (I just used a box mix – thanks Betty Crocker! ), then a layer of vanilla pudding. Next is my favorite layer – chopped up Cadbury Creme Eggs. 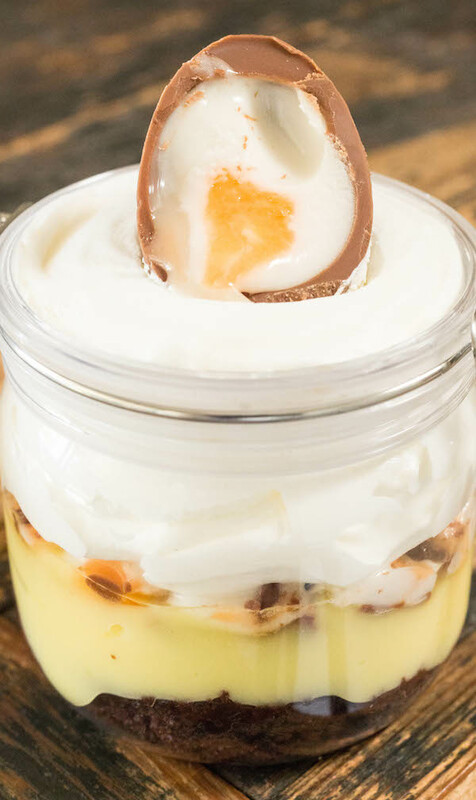 Top it all off with some cool whip and you’ve got yourself a delicious Easter parfait! It’s so easy to put together! It is a great recipe to get the kids involved and helping with. My mom said she made it with my niece and nephew and they had a blast! Use the milk and pudding mix to make up a batch of vanilla pudding according to instructions on the box. Divide the chocolate cake evenly among the bottom of six jars. Add a layer of vanilla pudding that is about the same size as your chocolate cake layer to each jar. 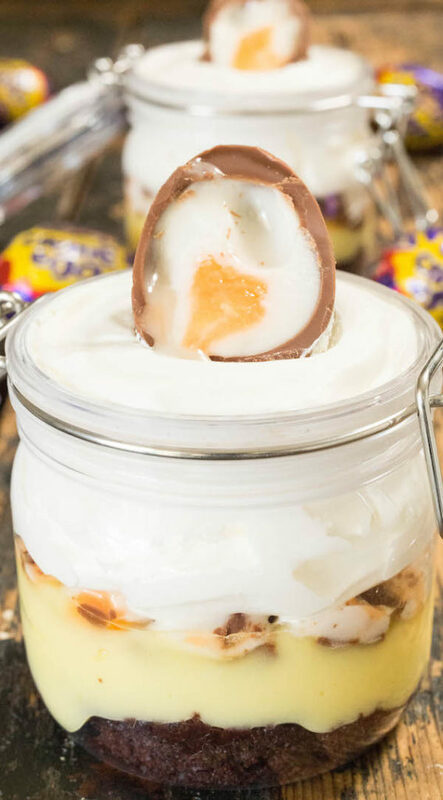 Take the chopped Cadbury Eggs and add a single layer of them on top of the pudding in each jar. 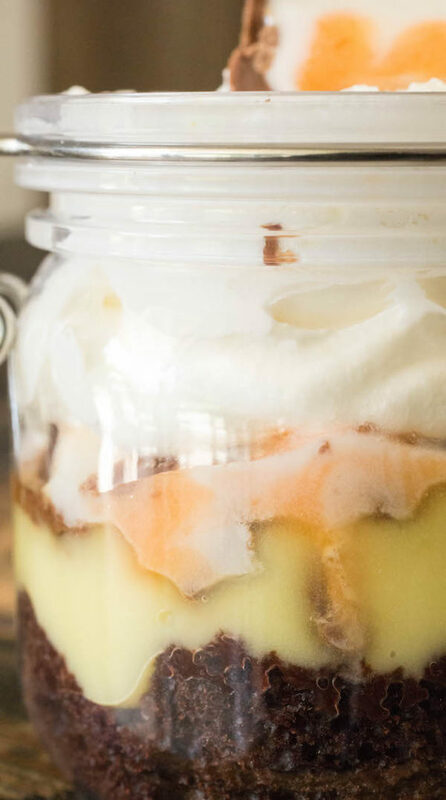 Fill the jar the rest of the way with Cool Whip. Add a Cadbury Egg that has been sliced in half to the top for garnish. Serve immediately or store in the refrigerator until ready to consume.